Panorama ('Landgräflich Hessen Darmstädter, u. Fürstlich Oranien Nassauisches Embser Bad in Prospect jenseit des Lahn Flussses anzusehen'). Augsburg: Sumptibus Matthaei Rieger, et Filiorum. 1769. n. Folio (14" x 9"). 3 vols in 1, each with a title page. (8),330,(18);(2),325,(27);(2),354,(24),38pp. Plus (2)pp. publisherÃ­s ads. Double column text. Title-page of Vol. I printed in red & black. Cont. vellum, some soiling, black morocco spine label. Ex Typographia Zerlettiana, Venetiis 1769 - Folio. 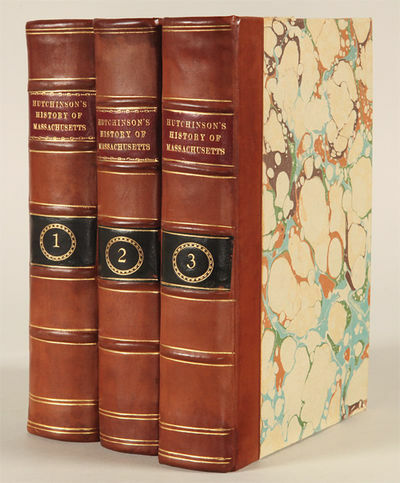 Ninth edition, three volumes in two, 431, 462, 156pp., illustrations and tables; bound in full vellum, spines titled in brown ink, speckled edges. Bookplate of William Wilson Montgomery (1848-?) of Carter Co., Missouri. A handsome set, internally clean and bright. A collection of material concerning the origins of liturgy of the Western Church, together with a discussion of its supposed mystical significance. [John Henry Newman: The Liturgy and the Breviary]. Dieu et les Hommes, oeuvre théologique; mais raisonnable. Par le Docteur Obern. Traduit par Jaques Aimon. Lisbon, Na Regia Officina Typografica, 1769.. FIRST EDITION. 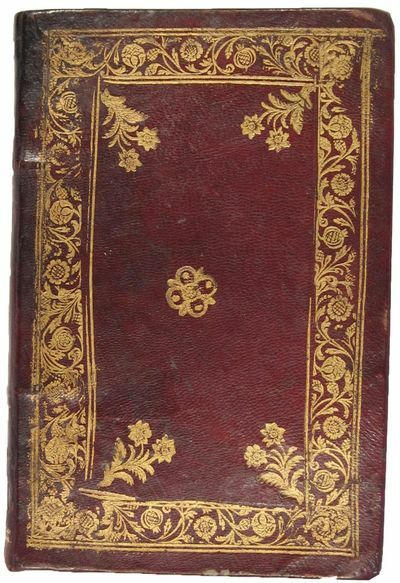 8Â°, contemporary crimson morocco (spine somewhat darkened, otherwise only very minor wear), almost smooth spine with slightly raised bands caused by recessed cords, in three compartments, gilt fillets, covers with wide roll-tooled border in gilt, floral ornaments gilt at corners and a central medallion gilt, all text block edges gilt, faintly gauffered. Woodcut arms of the Conde de Oeiras (later MarquÃªs de Pombal) in title page. Woodcut headpieces on pp. , , ,  and . Small woodcut tailpieces on pp. 19, 68, 87 and 102. Light dampstaining in the lower blank margins of the final 8 leaves. Overall in fine condition. (3 ll. ), 102 pp., (1 l., 1 integral blank l.). *** FIRST EDITION of a landmark of Brazilian literature. After the fall of the MarquÃªs de Pombal, all available copies were suppressed, and Borba de Moraes describes this edition as "rare and sought after." We have never seen a copy of this book in a contemporary goatskin binding. Moreover, the tooling is very different from any Portuguese binding of this period we have ever seen. Nor have we ever seen it in a contemporary binding of any color other than brown. Might the binding be Brazilian? A study of Brazilian colonial bindings is sorely needed; none of the experts consulted could shed any light on this question. The theme of this great epic is the Spanish and Portuguese campaign against the seven missionary villages in the region southeast of present-day Paraguay, whose Indian inhabitants had allegedly been incited by the Jesuits to revolt against the provisions of the Treaty of 1750. With its grandeur, pomp, and severe beauty, Basilio da Gama's poetry establishes him as the pioneer of Brazilian Indianism, which was later to become a chief theme of Brazilian letters. Written in run-on blank verse, the poem breaks sharply from the classical manner and is sometimes cited as the first Romantic poem in Portuguese. Garrett, whose own Romanticism was considerably influenced by Gama, judged the @Uraguay "the modern poem that is possessed of the most merit." It is "the best, the most nearly perfect poem to be produced in the entire colonial period," declared Ronald de Carvalho, and "will remain a point of reference in our literature, where we may encounter the hidden roots of that Romanticism that was to mark the dawn of our intellectual independence" (@Pequena histÃ³ria da literatura brasileira pp. 153, 159). According to Bandeira, the @Uraguay is "well, even brilliantly written; it contains beautiful descriptions of nature; and deep and sincere feeling is shown in the moving episode of the death of the heroine, Lindoia" (@Brief History of Brazilian Literature p. 55). The book includes on the final leaf sonnets in praise of the author by two important Brazilian authors, Joaquim Ignacio de Seixas BrandÃ£o and Ignacio JosÃ© de Alvarenga Peixoto. This was one of the earliest books printed at the ImpressÃ£o Regia, which Pombal had established only a year earlier. It is dedicated to Pombal's brother, Francisco Xavier de MendonÃ§a Furtado (Lisboa, 1700-1769), governor general of GrÃ£o-ParÃ¡ and MaranhÃ£o (1751-1759), and SecretÃ¡rio de Estado da Marinha e do Ultramar (1760-1769), who barely outlived the book's publication. JosÃ© Basilio da Gama (1740-1795), born in Minas Geraes, came to Rio de Janeiro at the age of fifteen to study with the Jesuits. He fled to Portugal upon the Order's expulsion. Then, casting aside his novice's robe, he traveled to Rome, where he was admitted to the Roman Arcadia under the name Termindo Sipilio. Several years later he returned to Lisbon via Brazil, but was imprisoned as a former Jesuit and sentenced to exile in Angola. A poem in honor of the MarquÃªs de Pombal's daughter led to forgiveness, while Gama's increasingly anti-Jesuit attitude earned official favor. This was surely a factor in guiding his choice of subject for his epic, as well as his decision to dedicate the work to Pombal's brother, with a laudatory sonnet to Pombal at the beginning. After the fall of Pombal, however, @O Uraguay became a distinct liability. Gama was later given a post in the Secretariat of State, and died in Lisbon. *** Borba de Moraes (1983) I, 338-9; @PerÃ­odo colonial pp. 148-50. Sacramento Blake IV, 330-4. Mindlin, @Highlights 12: "all of BasÃ­lio da Gama's publications, whether anonymous or signed, are important as expressions of Brazilian literature. They are all extremely rare." InnocÃªncio IV, 268-71. JCB, @Portuguese and Brazilian Books 769/1. Leite VIII, 89 and 310. Rodrigues 2072. Sabin 26487. Pinto de Mattos (1970) p. 289. Palha 862. Holmes, @Rarest Books in the Oliveira Lima Collection 153. Johnson, @The Book in the Americas. The Role of Books & Printing in the Development of Culture and Society in Colonial Latin America, 70: "recognized as one of the outstanding works of early Brazilian literature." @Imprensa Nacional 73: no copy owned by the Imprensa Nacional. Ameal 1051. Not in Avila-Perez, Azevedo-SamodÃ£es or Monteverde. Goldberg, @Brazilian Literature, pp. 54-7. Putnam, @Marvelous Journey, pp. 84-6. Saraiva and Lopes, @HistÃ³ria da literatura portuguesa (17th ed., 2001) p. 631. Porbase locates a single copy, in the Biblioteca Nacional de Portugal, and a microfilm copy at the same institution (without mention of the preliminary leaves, or the final integral blank). Copac locates British Library only. NUC: NN, ICN, MH. The History of Emily Montague. In four volumes. By the author of Lady Julia Mandeville. TraitÃ© de l'usure et des intÃ©rets. Cologne & Paris, chez Valat-la-Chapelle. MDCCLXIX (1769). 12mo., x + 342 + (2)pp., possibly wanting a half-title, but with the final leaf of 'fautes Ã corriger', small repair to a preliminary leaf slightly obscuring a few letters, contemporary calf, professionally rebacked, spine fully gilt with raised bands and label. A very good copy. First edition. Goldsmiths 10571. Higgs 4740. Einaudi 3177. Not in Mattioli or Kress. But see also INED 2498 for the 1775 edition. [bound with], [LA PORTE, J. BarthÃ©lemy de]> Nouvelles lettres a un ami, sur les prÃªts usuraires de commerce; ou dÃ©fense des principes thÃ©ologiques, cononiques & civils sur l'usure, appliquÃ©s au commerce de l'argent & de tout papier signÃ© des valeurs. Avec les rÃ©ponses Ã des observations de quelques nÃ©gocians, sur le change par lettres, & sur les contrats Ã la grosse avanture.> Amsterdam, et se trouve Ã Paris, chez DelÃ©vaque. MDCCLXIX (1769). 12mo., (4) + 138pp., including the half-title. A very good copy. First edition: rare. Kress 6650. INED 2622. Not in Goldsmiths, Einaudi, Mattioli or Higgs. [bound with], [MIGNOT, Etienne]> Observations de l'auteur du 'TraitÃ© des PrÃªts de Commerce'. Sur les 'Principes thÃ©ologiques, canoniques & civils sur l'usure'.> n.p. 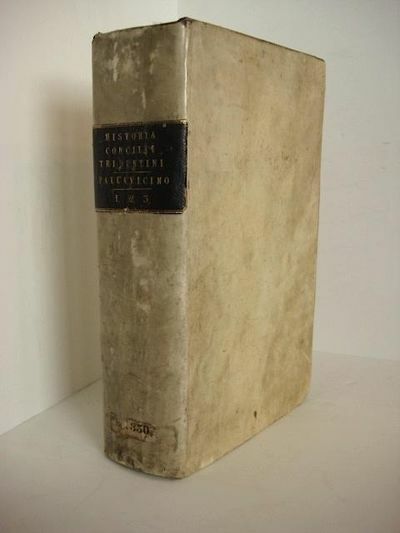 MDCCIXIX (1769). 12mo., 46pp. A very good copy. First edition: apparently very rare. No other copy located. Masui p.597. INED 3168. A good group of three French contributions to the difficult question of usury and the appropriate level of interest rates on loans. 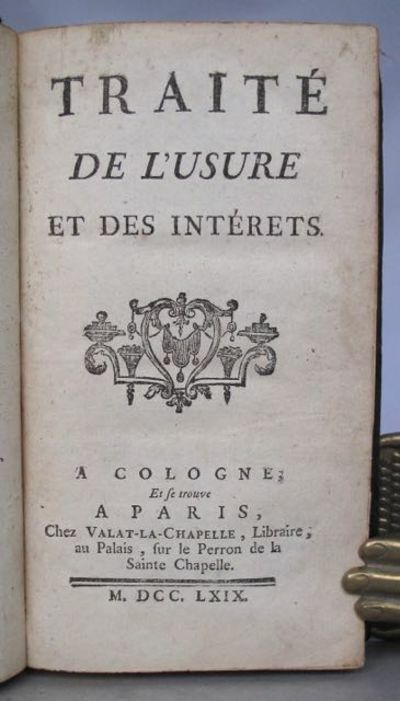 1769 also saw the publication by Turgot (Les prÃªts d'argent>) of his memoir on money-lending which paved the way for the later removal of controls over interest rates by the Revolutionary authorities. When in England, Jeremy Bentham published his own celebrates Defence of usury>, it became merely a matter of time before the usury laws were repealed elsewhere, although in practice it was not until the 1850s and 1860s that much of the legislation in Europe (other than in Germany) was passed having the effect of encouraging a relatively free money market. It is worth noting that La Forest, La Porte and Mignot all seem to have taken a traditional anti-usury line but concede that interest could lawfully be charged under certain conditions. 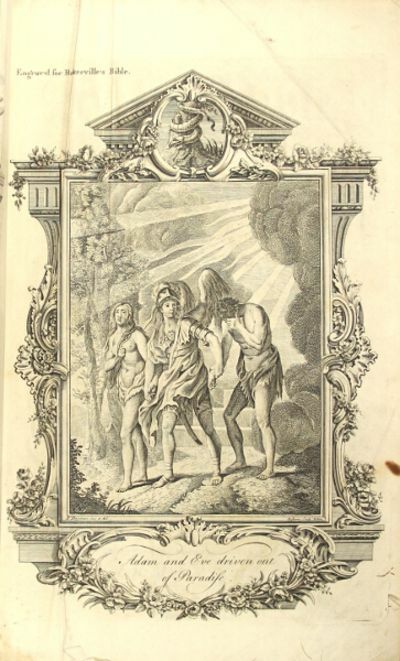 "The works of Virgil, translated by John Dryden"
Glasgow: printed by Robert and Andrew Foulis. 1769. "12mo, 3 volumes; portrait frontispiece and folding map; contemporary polished calf (likely from the Foulis bindery), gilt decorated spine in 5 compartments, red morocco label in 1, speckled edges; endpapers toned, slightly later call label on upper cover, bookplate of Hope Trust, Edinburgh, signature of Jane Stevenson on title page; very good. Gaskell 497." London: J. Dodsley, 1769. leather_bound. Contemporary full brown calf. 3 vols. in one. Very good.. 200, 123, and 155 pages. Demi 8vo, 17 x 11 cm. 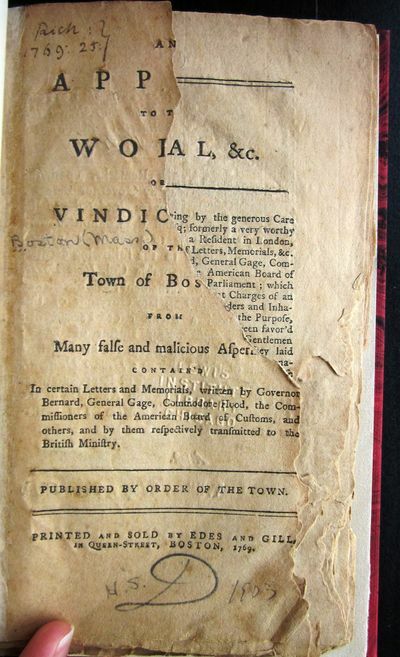 Third edition of "An Inquiry," originally published 1760, and first editions of following two titles. Born in Ireland, the author spent most of his mature years in Bath. His theoretical works on art had considerable vogue for a time. 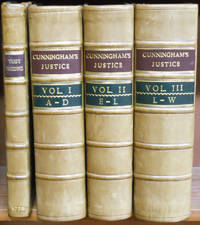 The three titles here bound in one volume comprise his most notable oeuvre. Book Label of C. Frost Bookseller, Bristol and inked ownership inscription, Oxford University dated 1820. BRUNET Vol. VI, no.9230. Hinges cracked but firm, corner wear, backstrip worn and foot and with slight loss at head, raised bands, gilt floral panel designs, red leather spine label, publisher adverts at rear. Diverse maniere d'Adornare i Cammini ed ogni altra parte degli edifizi desunte dall'archiettura Egizia, Etrusca e Greca, con un Ragionamento Apologetico in difesa dell'Architettura Egizia, e Toscana. Paris: Chez Lacombe, Libraire, Quai De Conti. Very Good. 1769. Hardcover. Title Continued: Avec L' explication detaillee de la vertu & de la maniere d'agir des Medicamens Chymiques. . Et les principes fondamentaux des Arts, Manufactures & Metiers dependans de la Chymie. Full clean leather with raised bands and gilt decorated panels. Page edges dyed red. Marbled endpaper. This is the 1769 reprint of the 1766 first edition. Vol # 1 (xxiv) ,616pp. : VG. Vol. #2, . 688pp. : VG+. Illustrated with head & tail piece vignettes. Chemistry dictionary containing the theory of science, medicine and natural history with detailed explanation. Vol #1 has chip on spine head. Science, Medicine ; Vignettes; 12mo 7" - 7Â½" tall; 1329 pages . Essai d'une Distribution gÃ©nÃ©alogique des sciences et des arts principaux. Weimar: Benard, , 1769. Selon l'explication dÃ©taillÃ©e du systÃ¨me des connoissances humaines dans le discours prÃ©liminaire des Editeurs de l'EncyclopÃ©die, publiÃ©e par M. Diderot et M. d'Alembert. A Paris en 1751. RÃ©duit en cette forme pour dÃ©couvrir la connaissance humaine d'un coup d'oeil. Engraved broadside (97.5 x 62.5 mm, engraved area 930 x 620 mm). Sometime folded, now mounted, framed and glazed. Very slight wear along folds; an excellent copy. A very rare engraved genealogical depiction of the arts and sciences, as explained in the preliminary discourse of Diderot and d'Alembert's great EncyclopÃ©die, conceived by ChrÃ©tien (or Christian) Roth, and engraved by Benard. 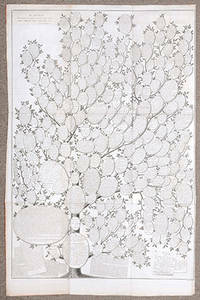 Following Francis Bacon's Tree of Knowledge as described in The Advancement of Learning of 1605, and the table "SystÃªme figurÃ© des connaissances humaines" produced for the EncyclopÃ©die, Roth here depicts the genealogical form of knowledge in the shape of a tree, the three main branches of Memory, Reason and Imagination subdividing into "fruit", the domains of science known to man. Robert Benard (born 1734) engraved, or directed the engraving of, at least 1800 plates for Diderot's groundbreaking EncyclopÃ©die, published between 1751 and 1772. He was also responsible for a large number of the plates included in James Cook's Voyages. Little appears to be know of Roth, other than that he was apparently a teacher in Weimar, who subsequently authored the Versuch einer Mappe-Monde Litteraire published in Erfurt in 1785, described on OCLC as a sequel to the present work. The present engraving was subsequently included in the 1780 edition of Pierre Mouchon's Table analytique et raisonnÃ©e des matiÃ¨res contenues dans les XXXIII volumes in-folio du dictionnaire des sciences, des arts et des mÃ©tiers, et dans son supplement. Representations aux magistrats ; contenant l'exposition raisonnée des faits relatifs à la liberté du commerce des grains, & les résultats respectifs des règlemens & de la liberté. S.l. [Paris], s.n. [Lacombe] 1769 - in-8, 7-504 pp., un feuillet non chiffré d'errata, avec 4 tableaux dépliants compris dans la pagination des 7 premières pages, et 4 tableaux dépliants hors-texte "in fine", veau fauve marbré, dos lisse cloisonné et fleuronné, pièce de titre cerise, simple filet doré sur les coupes, tranches marbrées (reliure de l'époque). Restaurations aux coiffes, charnières et coins. Éditio originale de ce plaidoyer physiocratique. L'abbé Roubaud (1730-1792) était un fervent physiocrate, partisan des réformes de Turgot, dont il fut un moment le conseiller. C'est sa participation aux Ephémérides du citoyen de l'abbé Nicolas Baudeau, à partir de mai 1768, qui l'avait fait basculer dans les doctrines de Quesnay, Dupont de Nemours et Mercier de La Rivière. Il se prononce sans nuance pour la totale liberté du commerce des grains. INED, 3926. Carte Du Théatre De La Guerre Présente Entre Les Turcs, Les Russes, Et Les Confédérés. Ou se trouvent La Turquie D'Europe, La Pologne, La Hongrie, La Russie Médirionale, La Tartarie Et La Géorgie. Dediée Et Presentée A Monseigneur Le Comte De Provence Parson très humble et Obseißt. Servitr. Laurent Géographe, Graveur et Membre de l'Académie Royale d'Ecritures. A Paris Mondhare, Rue St. Jacques à l'Hôtel de Saunur. 1769. - Coulubrier Scriptsit':. - kolorierter Kupferstich v. Coulubrier b. Louis Joseph Mondhare in Paris, dat. 1769, 53 x 73 Tooley's Dic. of Mapm. Rev. Ed. K - P, S. 270 (L.J. Mondhare was publisher and editor in Paris.). - A map of eastern Europe, showing from Poland to the Balkans and to the Caucasus and Russia. - The Russo-Turkish War (1768-74) was another in the series of wars that forced the borders of the Ottoman empire back. After a series of Russian victories the resulting peace treaty brought the southern Ukraine, Northern Caucasus, and the Crimea within the orbit of the Russian Empire, giving Russia access to the Black Sea. - Top left title with decorativ cartousche. - Rare map! Topographie von Niederösterreich, in welcher alle Städte. Märkte, Dörfer, Klöster, Schlößer, Herrschaften, Landgüter, Edelsitze, Freyhöfe, nahmhafter Oerter u. d. g. angezeiget werden, die in diesem Erzherzogthume wirklich angetroffen werden, oder sich ehmals darinn befunden haben. Thesauri Dissertationum Iuridicarum Selectissimarum in Academiis Belgicis habitarum (Volumen I et II). BODONI, G.B. e PETITOT, E.A. Descrizione delle Feste celebrate in Parma l'anno MDCCLXIX per le auguste Nozze di Sua Altezza Reale l'Infante Don Ferdinando colla Reale Arciduchessa Maria Amalia. Instructions Adressees par Sa Majeste L'Imperatrice de Toutes les. Just ecclesiasticum universum anticuae et recentiori disciplinae praesertim Belgii, Galliae, Germaniae, & vicinarum Provinciarum accommodatum. 1753-1769. . - Imp. Henr. Vleminkx et Emman. Flon. Lovaina - Bruselas. Vol. I: 970 pgs. Vol. II: 877 pgs. Vol. III: 650 Vol. IV: 383 + 164 pgs. . 5 Vol. . Vol. V: 792 pgs. Folio Mayor. Plena Piel de época. Derecho (Eclesiástico), Idiomas (Latín), Siglo XVIII . Buena edición de esta monumental y clásica recopilación de derecho eclesiástico. Su autor, Bernardo Van Espen, fue uno de los grandes tratadistas de la materia. Gran ejemplar encuadernado en plena piel de época, con nervios y dorados en lomera. Tapas y lomera con leve fatiga, texto en buen estado . Sämmtliche Schriften. Mit 10 Titelvignetten (Kupfern von Oeser) sowie einem Porträtfrontispiz in Kupfer. Boston: Thomas & John Fleet, 1769. Antique-style half calf and marbled boards, spines gilt with leather labels. Titlepage of second volume with some slight loss, affecting several letters, neatly repaired; titlepage of third volume with minor loss of blank corner, neatly repaired. Minor foxing and toning. Very good. 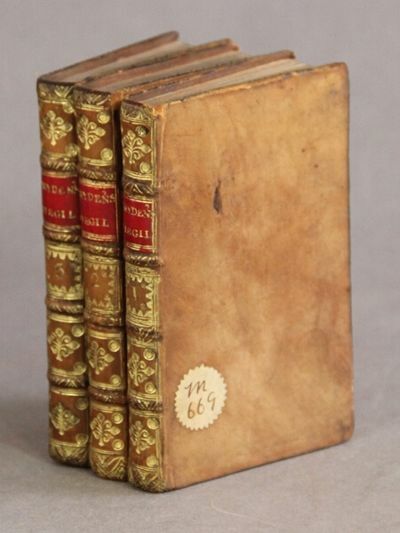 The first edition of this classic Massachusetts history, published in three separate volumes. The first volume discusses the early years of the colony from first settlement in 1628 until 1691. The second volume covers Massachusetts from the 1691 charter until 1750, and includes an index to both volumes. The third volume was published by Hutchinson to support and elucidate the principal facts related in the first two volumes of the History of Massachusetts Bay, and may serve as an appendix to it. According to Sabin, this third volume is "a necessary adjunct to Hutchinson's HISTORY." "Hutchinson's HISTORY OF MASSACHUSETTS-BAY accurately recounted these events and contained sympathetic accounts of Puritanism; the Antinomian heresy of Hutchinson's ancestor, Anne Hutchinson; and Massachusetts opposition in the 1680s to the 'tyrannical disposition' of the royalist governor, Sir Edmund Andros, and his administration's 'harpies.' Hutchinson's HISTORY acknowledged the multiplicity of jostling interest groups in Massachusetts and the duty of government to protect the public interest from the demands of self-interested groups" - ANB. Hutchinson (1711-80), besides being a colonial historian, was governor of Massachusetts from 1771 to 1773 and a staunch Loyalist. He left Boston for London in late 1773, after he had helped cause the Boston Tea Party, and remained in exile in England until his death in 1780. The first two volumes of Hutchinson's work on the Massachusetts colony are complete unto themselves, but the third volume acts as a valuable appendix. Each volume is rare; rarer still to find both together. An important and early colonial history. HOWES H853. EVANS 9705, 10658, 11300. ESTC W20456, W20464, W31190. SABIN 34075, 34078, 34069. Dell'origine di Cento e di sua Pieve, della estensione de? limiti e degl?interramenti delle valli circumpadane. Esame storico critico. a cui si ? aggiunta la storia di Cento in compendio. Bologna, dalla Volpe, 1769, in-4to, bella legatura piena perg. coeva, pp. XII-322. Marca tipogr. incisa in rame al front. Testat. inc. al Proemio con veduta della citt? di Cento. ed altre incis. xilogr. n.t. (antiche iscrizioni). Con una carta topografica in rame ripiegata al fine raffigurante il territorio compreso tra i ducati di Mantova e Modena e lo foci del Po. Bell'ex libris xil. Patriotische Gedanken von dem wahren Nutzen des Vaterlandes. [Motto aus Vergil]. Aus dem Französischen übersetzt. Della Torre (de Turre), Giovanni Maria. Elementa physicae. Tomus I (-VIII). Gestohlen !!! Hocker, J. L. - Dieses Buch wurde uns am 18.1.2007 gestohlen. Einleitung zur Erkentnis und Gebrauch der Erd- und Himmels-Kugeln, auf die leichteste Art in Frag und Antwort dergestalt eingerichtet, daß man nicht nur diese Wissenschaft deutlich erlernen, sondern auch zugleich dadurch zur Hochachtung und Verehrung des Schöpfers aufgemuntert werden kann. "The Holy Bible, containing the Old Testament and the New; with the Apocrypha: translated out of the original tongues, with annotations"
Birmingham: John Baskerville. -1772. "Folio,  unnumbered leaves; unpaginated; 10 copper-engraved plates (2 bound before the title page are miscreased); slight worming confined to the margins on the last 20 or so leaves, light occasional foxing; contemporary reversed calf, red morocco label on spine; joints cracked, cords holding; good and sound. The second Baskerville Bible (he did another in 1763), issued in original parts, 1769-72. The title page is in Gaskell's second state, dated 1772. The separately-printed title for the New Testament is dated 1771, as issued. Gaskell 35." OCLC lists only the universities in Gottingen and Leipzig as having copies of the title. Park and Henderson, pp. 164-173]. Altona und LÃ¼beck: bey David Iversen, kÃ¶niglich priviligierter BuchhÃ¤ndler, 1769. NiedersÃ¤chsisches Kochbuch. 7., verbesserte Auflage. Mit einem gestochenen Frontispiz. Ganzledereinband der Zeit (17,5 x 10,5 cm) mit fÃ¼nf BÃ¼nden, 557 Seiten. Einband berieben, Kanten zum Teil beschabt. Innen in altersgemÃ¤ÃŸ guter und sauberer Erhaltung. John Baskerville -1772, Birmingham - Folio,  unnumbered leaves; unpaginated; 10 copper-engraved plates (2 bound before the title page are miscreased); slight worming confined to the margins on the last 20 or so leaves, light occasional foxing; contemporary reversed calf, red morocco label on spine; joints cracked, cords holding; good and sound. 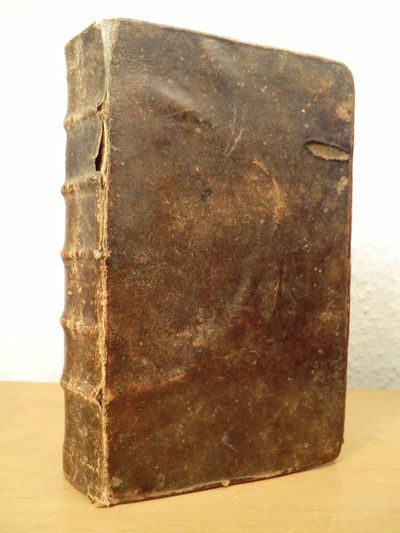 The second Baskerville Bible (he did another in 1763), issued in original parts, 1769-72. The title page is in Gaskell's second state, dated 1772. The separately-printed title for the New Testament is dated 1771, as issued. Gaskell 35. Boston: Edes & Gill, 1769. First Edition. Hardcover. The title page has suffered insect damage causing the loss of about half of the right side affecting the text there as well as about 1/3 of the text on the verso. A facsimile of this leaf is included in a special pocket in the box. The next few leaves show some marginal damage but no text is affected. The remainder is clean. Unobtrusive library markings on three pages. Very Good. Recently re-sewn into marbled paper over boards, with a printed paper label on the front panel and fresh endpapers, and enclosed in a custom clamshell box with a leather spine lettering piece. Adams 62A, Evans 11133, Heartman 509 ("certainly one of the most important pre-revolutionary pamphlets"), Sabin 6478. For several years there had been rising enmity between the Massachusetts Assembly and the appointed Governor of Massachusetts, Francis Bernard, over a number of issues. Eventually this led to serious unrest, the unwelcome presence of British troops, and the organization of the Sons of Liberty. Then a series of inflammatory letters were made public from Governor Bernard and others to the Earl of Hillsborough who had recently been named Secretary of State for the Colonies. The members of the Assembly, who felt they had been "traduced and vilified," appointed a committee to reply to the letters, resulting in this response. 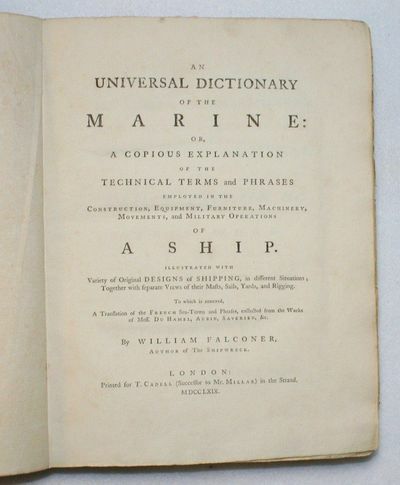 An Universal Dictionary of the Marine: Or, A Copious Explanation of the Technical Terms and Phrases Employed in the Construction, Equipment, Furniture, Machinery, Movements, and Military Operations of a Ship..
London: T. Cadell, 1769. First Edition. Hardcover. Near fine. Unpaginated quarto (400+ pp) with 12 folding plates. A lovely, fresh copy in original paper covered boards, spine skillfully re-covered, author's presentation inscription ("From the Author") on the front free endpaper, contemporary manuscript translations of some of the entries (10 handwritten pages) into French laid in. Housed in a custom half-leather slipcase and cloth chemise. " A work of extraordinary care and scientific thoroughness...the standard nautical dictionary until the end of sail" (DNB). Falconer, who was also well known for his autobiographical poem The Shipwreck (1762), was lost at sea shortly after the publication of this work. Le Pornographe, ou Idèes d'un Honnête-Homme sur un Projet de Réglement pour les Prostituées, Propre à prévenir les Malheurs qu'occasionne le Publicisme des Femmes: Avec Des Notes Historiques et Justificatives. [Premiere et seconde Parties]. Traité de la fabrique des manoeuvres pour les vaisseaux, ou L'ART DE LA CORDERIE perfectionné. Seconde édition, dans laquelle on a ajouté ce qui regarde les cordages gaudronnés.